​On the 2001-2004 Dodge Caravan, Chrysler uses one of two different front expansion valves. The difference between the two is the location of the switch on the side of the expansion valve. One of the switches mounts on the top of the expansion valve. On the other expansion valve, the switch mounts at the bottom. Due to the way each switch bolts to the expansion valve, you cannot bolt the bottom switch where the top switch mounts and vice versa. inspection will allow you to get the correct part. Consider the fact that you have to wait for the vehicle to arrive, inspect the part, order the part, and wait for it to arrive. This can turn a simple job into a time consuming project. ​gpd has a simple solution for this. We have developed an expansion valve with both switch ports included. 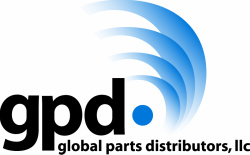 gpd part number 3411314. Order one part number, install it and you are done. The switches never come in direct contact with refrigerant so the switch port you do not use will not leak.